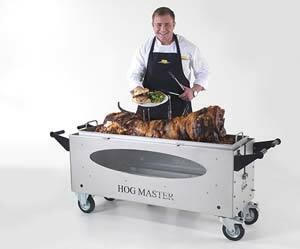 Leeds hog roast machine hire is increasingly becoming one of the most popular forms of catering in the UK. And with its popularity rapidly increasing more and more people want to try hog roast catering for themselves. We offer outside catering already and now we offer Harrogate hog roast machine hire for people who want to do it on their own. No matter what the event or occasion; we can provide the perfect machine for you. Whether you need to provide the catering for a board meeting at work or the Sunday roast at your pub, hiring a hog roast machine is the perfect solution to all your catering needs. With the popularity of local pubs in decline landlords are always on the lookout for something new to make their establishment stand out from the crowd. 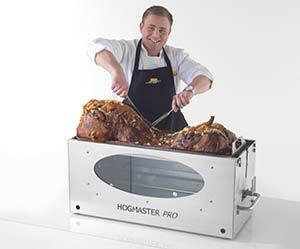 What better way than having a Halifax hog roast machine hire providing your Sunday roast. This is the perfect alternative to the regular three meat carvery. The hog roasted meat can still be served with all the trimmings and there is no limit on what type of meat you want to use, it can change every Sunday if you want. Everyone loves the traditional roast dinner, and this is a modern, unique and alternative slant on a classic British meal. One thing that is essential when serving a roast dinner is the quality of the meat. Whether you are cooking turkey or pork the meat from our machines is always delicious and succulent. And when serving in a busy pub speed is essential. This is why our hog roast machines are very easy to use. They come with full instructions and if you do encounter any problems then don’t hesitate to call or email us, we are more than happy to help. You might be thinking that a Huddersfield hog roast machine hire is not too much different from a typical carvery. But this is not the case. If you hire a spit roast machine then this can become the focal point of your pub/restaurant. The warm ambience and the mouth watering smells created by a spit roast are unique and entertaining. This is its major selling point and makes your customers dining experience truly one of a kind. This is what will set you apart from the crowd and get people talking. As we all know we are in a time of economic crisis so price is a major issue when buying or selling anything. To buy a hog roast machine you can pay anything from £2000 upwards, but if you hire one of our machines then it can cost from just £195 for a week, a snip of the price compared to buying one. It all depends on how many you need and what shape and size machine you like, please see our website for more details on our range of machines. We also deliver and collect our machines anywhere in the country free of charge. Why not make a change and try something new, hire your own hog roast machine and wow your customers with outstanding food and a simply unique dining experience.